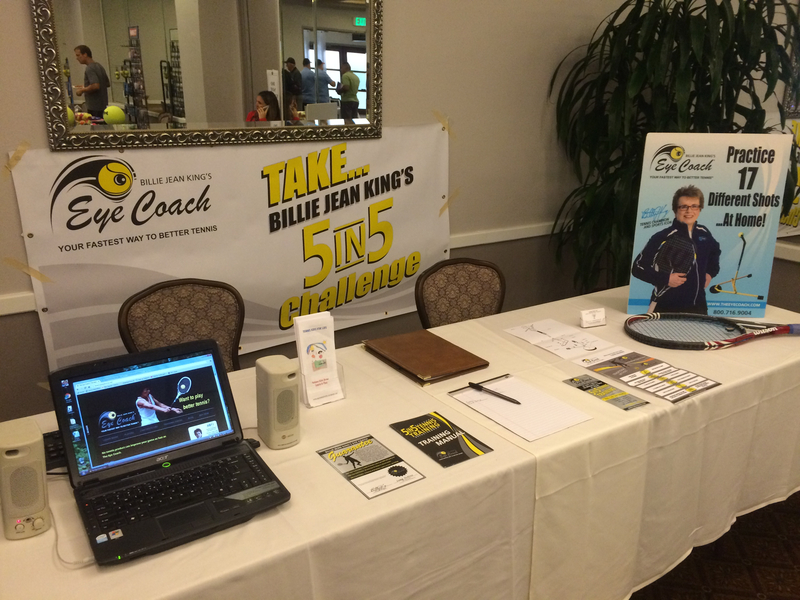 Tennis Kids For Life has been a proud sponsor of Billie Jean King’s Eye Coach for the past 2 consecutive years at the USPTA California Division Annual Convention Vendor Show, reaching out to Southern California tennis teaching professionals with important training technique information. 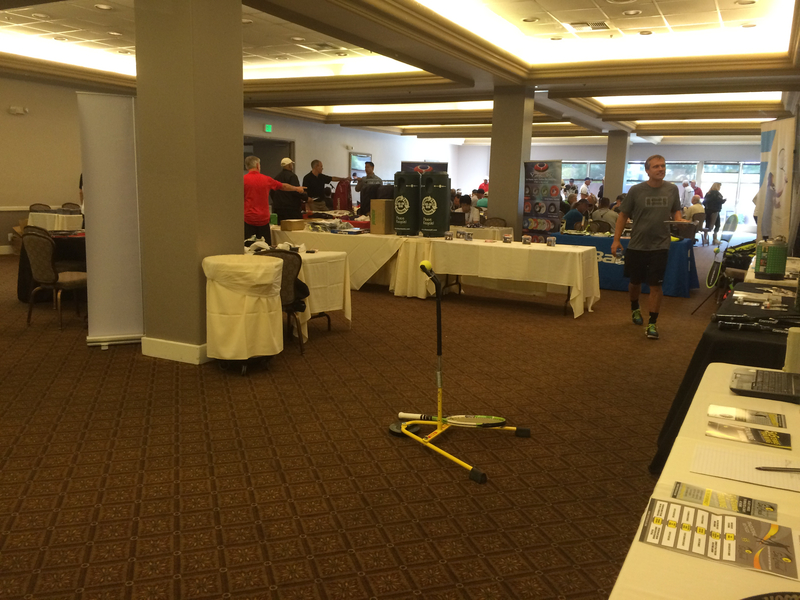 The USPTA 2016 California Division Convention was held on February 19-21st at SeaCliff Country Club in beautiful Huntington Beach, CA. The weekend included several world-class speakers, an awards banquet, the buying show, advisory staff meetings and camaraderie with fellow professionals. The 2015 Convention was held February 6-8th at the luxurious Riviera Country Club in Pacific Palisades and featured one top-notch speaker after another. The convention included a welcome cocktail party, an awards dinner, a career fair, vendor show and the advisory staff meetings. 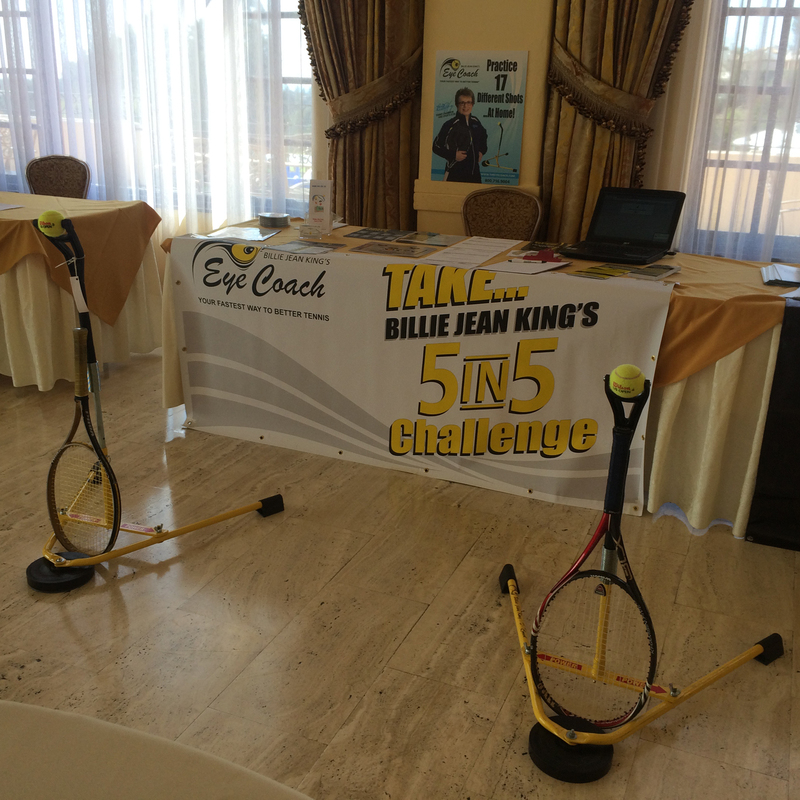 The Eye Coach is the brainchild of former All American and pro tour player, Lenny Schloss. Lenny has made a significant contribution to the world of tennis with his revolutionary coaching tool and method for training players and coaches to utilize superior visual acuity. Tennis Kids For Life recognizes Lenny as one of the distinguished Honorary Members of Oscar Wegner’s coaching organization, MTMCA.